The Laurel is where old world charm meets contemporary chic! The five bedroom, four and a half bath floorplan is designed to cater to the busy modern family who desires to maximize the use of all 4853 square feet of this home. We'll see you there! 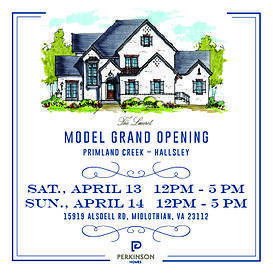 For more information, call Julie Crabtree at (804) 898-2086.